This is a very rare system. 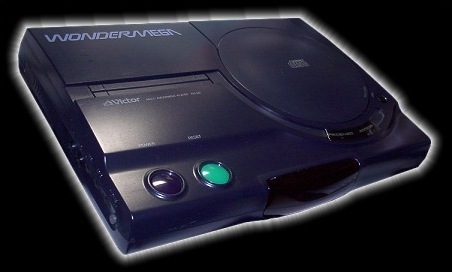 Never released outside of Japan, the WonderMega 2 sports several features that the X'eye didn't have, as well as quite a few changes from the WonderMega 1. Read on for details. 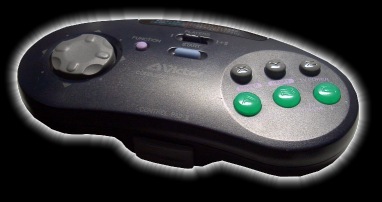 First impressions: It's similar to a PCE Duo or 3DO (the top-loader) or even the Marty. It's rectangle shaped, thick, and feels a bit cheap. On the other hand it's blue, and that's worth a few points right there. It also comes with an infra-red remote pad as standard, which is made even cooler by two simple facts: you can add a cord to it if you don't need the cordless feature, saving batteries, or you can plug the player-2 controller into the same port and make both P1 + P2 unconnected. 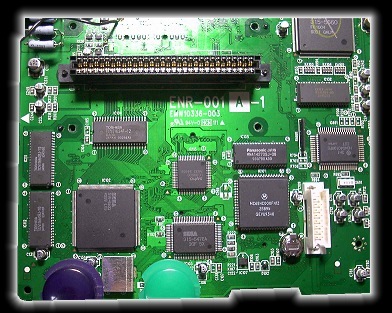 Granted, they're connected to each other, but it's interesting to note 3DO wasn't the first to daisy-chain the controllers. Inside... To start, it's a lot easier to open up. Only seven screws on the base and you're in. The WonderMega1 had more screws and could be a tricky beast to open. Internally it's a wholly different beast compared to the WonderMega 1. 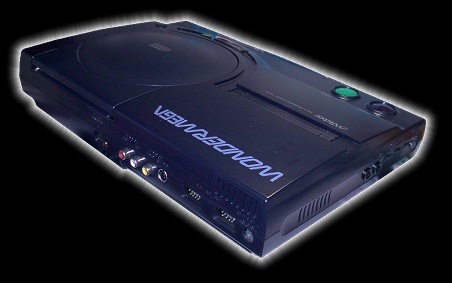 It has a lot more in common with the CDX and the PC Engine Duo series. 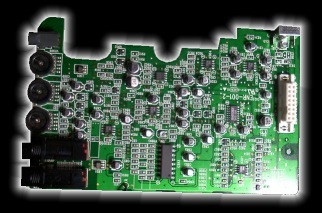 One single PCB and a mid-sized daughterboard replaces the four or five PCBs messily slapped into the WM1. 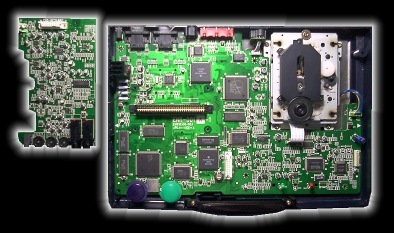 The CD mech is similar in appearance to any other, and it looks strikingly like the Saturn's mech - no surprise when you consider they're both made by JVC. Unlike the WM1 everything falls easily to hand - the simple design means there's no nest of cables to unplug and screws to lose. 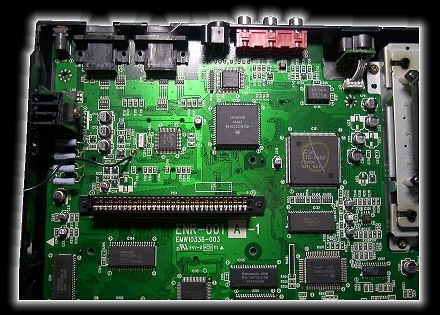 5 additional screws hold the PCB in place. 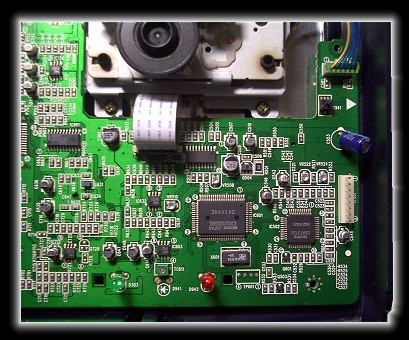 There's no Sony chroma encoder (converting RGB -> video) on this PCB, like there is in nearly every other Sega console ever made. Instead there's a Fujitsu MB3514 encoder. There's a place on the PCB for a third LED between the access LED and the IR-received LED. There's no MIDI port like there is on the WM1. The sound effect options are also missing, however some of them (voice cancel, for example) are present on the CD player menu. Soft power. The power switch has no 'click' and the system can, in fact, be turned on by the IR pad. The pad itself is hugely comfortable, a plus considering it's cordless and harder therefore to replace. The cart-lock kill-switch from the WM1 is gone. The frivolous motor assembly is gone, but when the 'open' button is pressed the WM2 has a very satisfying open motion.